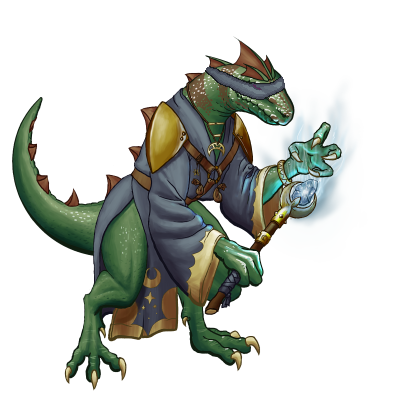 This Saurian shaman has lost his eyesight, but this traumatic experience has given him an insight normally unheard in his kin. Both his healing and destructive magic have improved as result of this. Special Notes: This unit has magical attacks, which always have a high chance of hitting an opponent. This unit is capable of healing those around it, and curing them of poison.This unit can adjacent allies for one half of damage dealt to a living enemy.